Wild Birds Unlimited: Do you get more birds if you feed year-round? 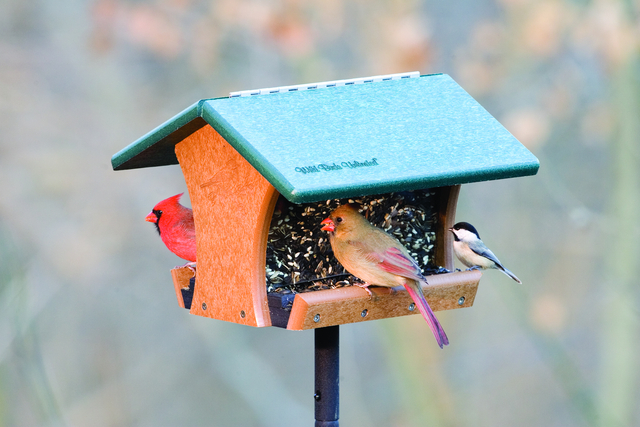 Do you get more birds if you feed year-round? First let me say what a wonderful site you have. I've been feeding birds near Big Rapids over 10 years. The point you made about the finch's leaving seed in the feeder is one I've noticed for years, but I just always ended up dumping it. Thank you for letting me know I can save it and put it back on top of fresh seed! Thank you for the compliment. It is always nice to have positive feedback! You’ve asked an interesting question. Unfortunately, little research has been done on whether year-round feeding attracts more birds than just winter or summer feeding. Food is a life or death challenge to birds. In the winter food can be scarce or hard to find. In the summer the birds spend a lot of time defending their territories and feeding babies. In both cases having a known source of food can save the life of a chickadee during a winter snowstorm or a baby bird during a summer drought. Personal Experience- I do know through personal experience that bird populations fluctuate. Weather, disease, land development, pollution and other factors can play a part in a bird species status. 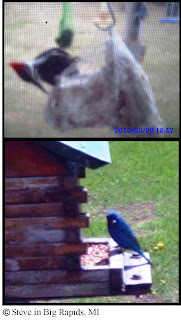 However, I have noticed that the longer I feed, the more birds I get passing through in the spring and fall. A recent study found that migratory birds are finding fewer areas to use as their rest stops. Each year it’s exciting to see new faces mixed in with my regular visitors during migration. I always make sure I have fresh water, food, and shelter to make their journey a little easier. I also get a lot of information from a variety of customers. Our Wild Birds Unlimited stores in mid-Michigan have customers that only feed in the summer and spend the winter in some other sunny land. I also have people that feed only in the winter and spend the summers in upper Michigan. And of course we have the people like you and me that feed year-round. Habitat- Birds are attracted to places where they can forage for foods naturally. Creating a habitat that supports birds is very important because it’s estimated that only about 20% of a backyard bird’s daily energy intake comes from feeders. So I think it matters less what time a year you feed and more on the habitat, the type of feeders and the bird food you offer. Where to Place Feeders- Feeders placed throughout the yard at different levels can also attract an assortment of birds. How Birds Find the Feeder- Birds are amazing creatures and can find new feeders several different ways just like humans find restaurants. Everyone has a friend that likes to tell you about the new "hot spot." Now that there are fewer West Nile deaths, the Blue Jay and crow populations are on the rise. And both birds are great at spreading the word that there is food in the area. Variety of Food- Regardless of the season, the species you attract is determined primarily by the seeds you offer. Today, thanks to decades of observation and research, the menu available to offer the birds is more diverse to attract a wider variety of birds. 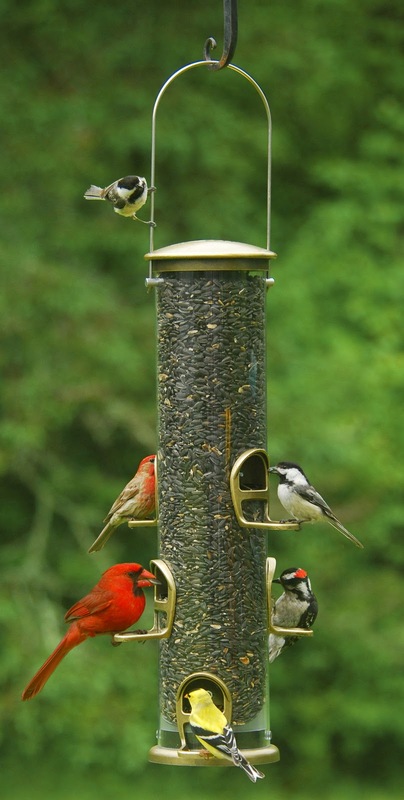 To provide the most beneficial foods to meet birds' nutritional needs the birds in Michigan should be fed Black-Oil Sunflower, Sunflower Chips, White Proso Millet, Safflower, Peanuts, Nyjer® Thistle, nectar, mealworms, and suet. 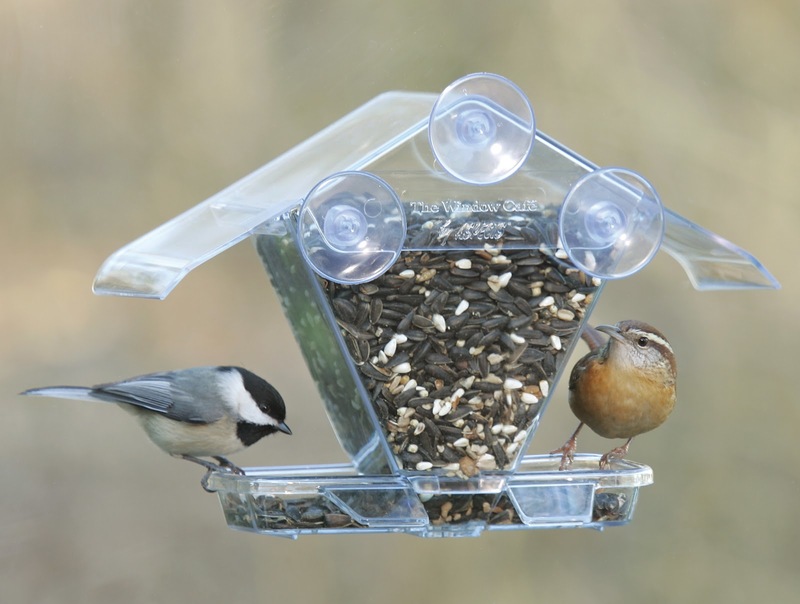 Types of Feeders- New easy to clean and easy to fill feeders are also being developed every year for seed, suet, bug, or nectar eating birds. 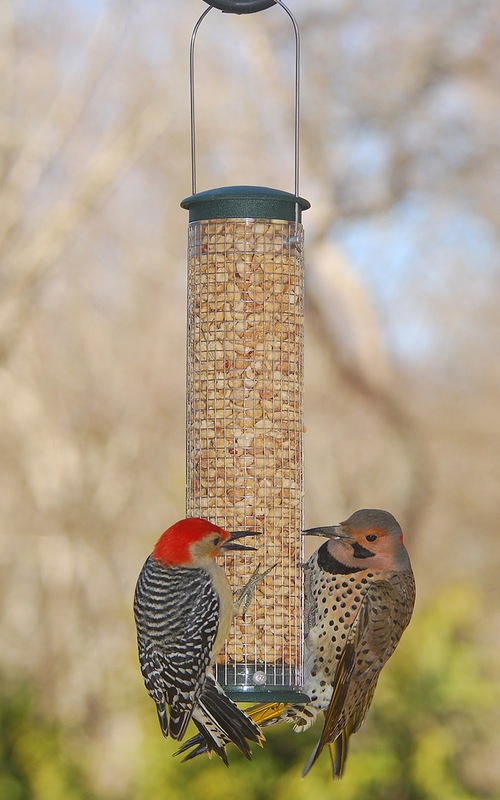 With over 30 years of research and experience, Wild Birds Unlimited® is proud to offer the highest-quality birdfeeders and birdfeeding equipment on the market today. 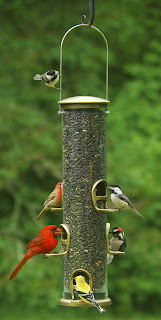 Share the Joy of Bird Feeding- Like you, I love to bird watch. The delight of seeing so many active and energetic birds at your feeders makes feeding the birds a real joy during this time of the year. By providing just a few simple things, such as a variety of fresh foods, clean water and shelter, you've created the perfect refuge in your yard that is attractive to more and more birds. I love your site too. I am having so much fun feeding the birds and squirrels. I get to watch at 8 in the morning and 5 at night. My feeders are packed with all sorts of beautiful birds. The squirrels are getting very active the last few days. The seem to be playing games all over the yard and up the trees. Fun, fun, fun.